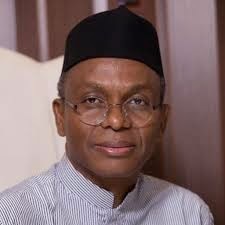 A former Minister of the Federal Capital Territory [FCT], Nasir El-Rufai, on Monday, formally declared to run for Governor of Kaduna State, with a pledge to turn around the fortunes of the state around if voted into office in the February election. Mr. El-Rufai, who is running on the platform of the All Progressives Congress, APC, said the current Peoples Democratic Party, PDP, administration of Governor Murktar Yero in the state, is incompetent and should not be allowed to drag the state down. He told a cheering crowd of supporters and party leaders in Kaduna that he had traversed all the 23 local government areas of Kaduna State and visited tens of communities, but was sad by what he saw as it would have been difficult to believe they were part of the state. He said he also consulted widely with people, including traditional rulers, respected elders and public officials, who could speak, as well as ordinary people who relied on people to speak for them. According to Mr. El-Rufai, the purpose of the consultations was to listen to them and understand what they wanted from the state government and how the government and the people could work together to develop it. The former minister lamented that Kaduna State, which he said used to be known for its industries, now barely had flourishing or profitable factories and that even basic sanitation was absent because Kaduna and most of the local government area headquarters were being overtaken by garbage.